On Friday February 15th we met with management in our offices to obtain an update on the Company and its growth opportunities. The Company recently reported first quarter fiscal 2013 results, which raised questions about what to expect for fiscal 2013. 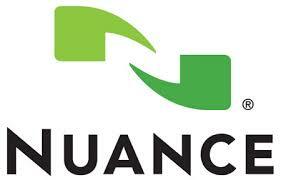 Nuance Communications is a provider of voice and language applications for businesses and consumers. The Company’s applications are used in healthcare, mobile, consumer, enterprise customer service, and imaging markets. Nuance’s applications are based on its voice and language platform and are used by people and businesses for tasks and services such as requesting information from a phone-based self-service application, dictating medical records, searching the mobile Web by voice, entering a destination into a navigation system, or working with portable document format (PDF) documents. We were able to gain helpful insights into some of the dynamics of the first quarter and how the remainder of the year could play out. Likewise, we questioned and learned about the growth opportunities and strategies for the next couple years. Following the meeting, we continue to be optimistic about the Company’s unique technologies in voice and natural language processing. The market opportunities in Healthcare, Mobile and Enterprise all appear to be in the early stages of development and should support the Nuance’s growth for several years.